I was born and raised just north of the Adirondacks in a small town. And can I tell you? In case you’ve never been there, the Adirondacks and northern New York in general is really quite the gorgeous place. There are mountains and rivers and trees and fields as far as the eye can see. 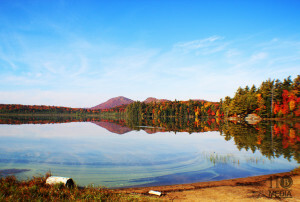 From the Adirondacks to the Seaway Valley, you’ve got some absolutely stellar scenery. So hard that really, these photos hardly do the Adirondacks and the surrounding region all that much justice. But, you know I’ve got to give it a shot! That’s what we do! Explore! So below we’ve got a collection of photos from the North Country. These photos of the Adirondacks were taken from all over the Adirondack State Park, including Saranac, Sperry, and Cranberry Lake, Santa Clara and Keene Valley. The majority of these photos were taken on a Canon RebelT3i or Canon Rebel XTi. For more information about licensing or purchasing prints, please contact us here. Hope y’all enjoy this ever-growing collection of pictures from my time up north.